Wouldn’t it be great if you can have a security camera that can do a lot of things for you? Keeping one’s home safe and secure all the time is a top priority. However, if you’re a constant traveler or you’re out of the house most of the time for work, this can be a real problem. As robbers and intruders tend to take advantage of unoccupied homes, you need to find a way to keep it protected even if nobody’s home. One of your best solutions is your smart phone. With the way technology works these days, you can practically do anything with the said device. In case you are wondering how, here are some of the ways you can use your smart phone to monitor your home. Smart locks are a great help when it comes to protecting your home. They can be conveniently linked to smart phone so that you’ll be able to monitor or even control them from almost anywhere in the world. They’re a great investment if you frequently lose your keys or you’re a constant traveler. Some of the main features of smart locks include remote controlling. You’ll be able to lock and unlock your doors even if you’re not physically at home. You can even use smart phone to grant or revoke access to your visitors. Another great thing about smart locks is their ability to send notifications. If you’re not at home and someone attempts to open your doors, you’ll be alerted through push notifications, email or text message depending on your preference. 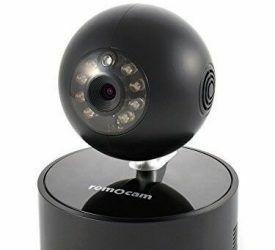 Remocam offers unique features that can help keep your family and property safe and secure in more ways than one. 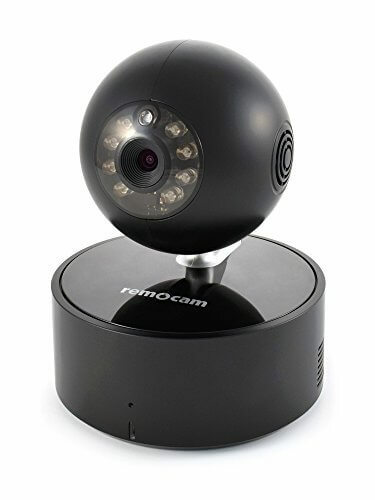 There are a lot of security cameras these days, like Remocam Home Security Camera, that work well with smart phones. Simply place them in the most vulnerable areas of your home, such as your front door, back door, and bedroom. It’s also a nice idea if you can set a few outdoor cameras to cover your lawn. When setting these cameras, make sure that you set them at the right height. Keep in mind factors that can affect the quality of images and videos you’ll get, such as glare, lighting, and view. This is very important, especially if your camera can’t be panned and tilted through your phone. If your camera needs to be constantly plugged into a power source, make sure that its cord is at the right length. 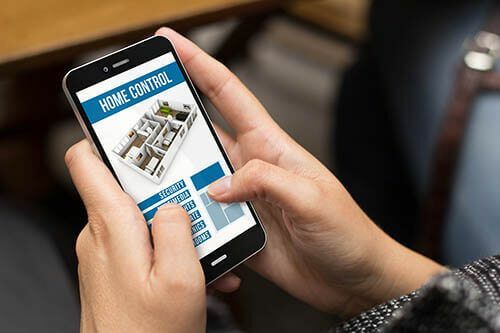 When monitoring your home through your smart phone, the last thing you do not want to happen is for it to run out of battery while you’re away. Aside from investing in a new camera, there are apps you can download on your spare smart phone to turn them into security cameras. These apps are a convenient choice, especially if you are on a tight budget or you just want to put your extra phones to good use. Most security systems now come with their own designated apps which you can download to your smart phone. Since they connect through Wi-Fi, you won’t have to worry about intruders and burglars cutting your system’s line to deactivate it. They’re also more reliable when it comes to alert since notifications can be sent in real-time. For an added layer of protection, some systems allow access sharing. This means that you can allow a friend or a family member to download the app for your system and control it on your behalf. This is a great help in case of an emergency and the local authorities can’t reach you. Linking your thermostats and air conditioners isn’t only helpful in maintaining your home with an optimum temperature; it’s also a great help in reducing the cost of your electricity bill. You can use your smart phone in turning your thermostats on and off. You can also use it in adjusting your smart devices so that you can set your home at the right temperature when you get off of work. Connecting your thermostats and HVAC system can also alert you in case the temperature at your home goes beyond the normal range. Too much heat and humidity can’t only affect your comfort level, but it can also cause damage to your furniture and valuables. They can even cause mold to form in case they’re not addressed properly. If you have fire detectors and carbon monoxide sensors, you should also consider linking them to your smart phone. In case these devices detect anything unusual in your home, you will get notified right away. The faster you get notified, the quicker you can reach out to your local authorities for help. Rose Cabrera specializes in reviewing security devices. She stringently compares home security system ratings to help her readers make the best decision about their safety and security.